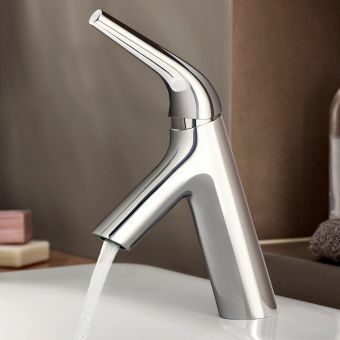 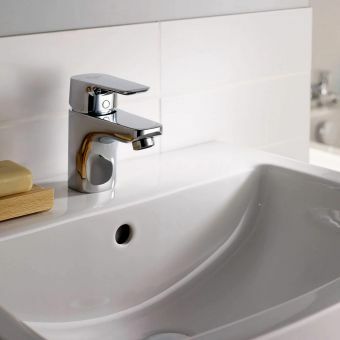 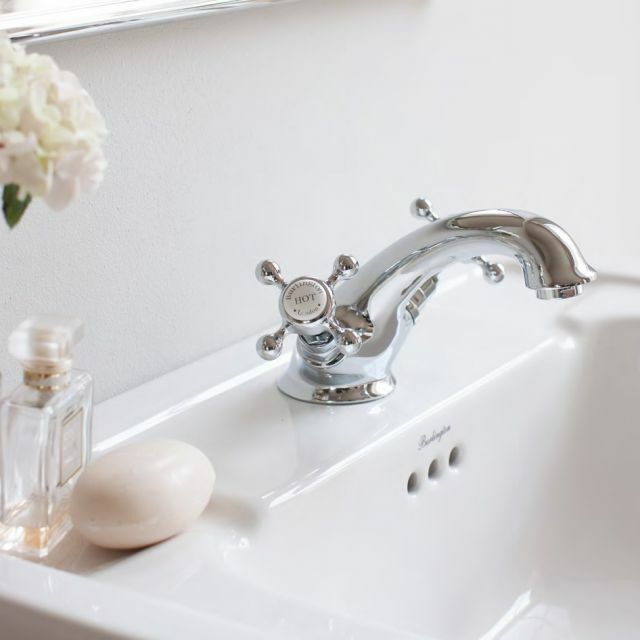 Stafford Brassware from Burlington offers the user the change to fully coordinate the brassware throughout the interior, while retaining affordability throughout. 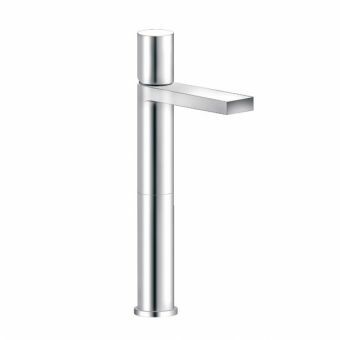 Cast into a single unit, this monobloc mixer is designed to fit the basin with a single tap hole. 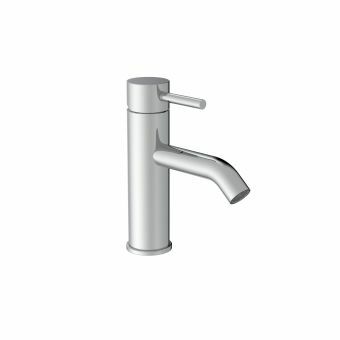 Fitted with separate hot and cold valve handles, with white ceramic inlays inscribed with hot and cold, it can isolate or mix water as required. 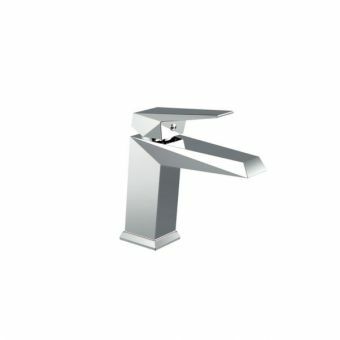 Fitted with a pop up waste unit, with the lever discretely at the rear, it incorporates a hygienic and convenient waste release option. 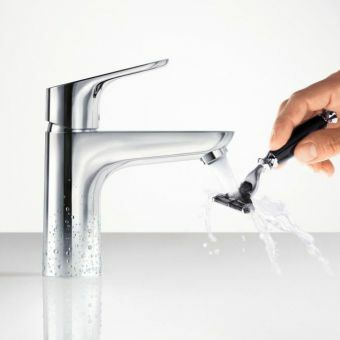 Suitable for use with plumbing running at 0.1 bar and over, this low pressure tap is compatible with almost any plumbing. 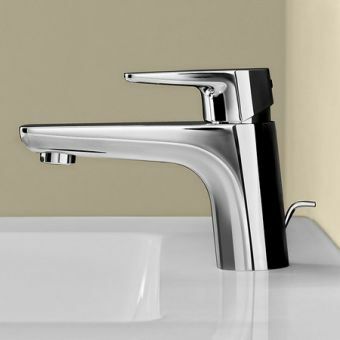 Please see the other items within the Stafford Brassware range for its sister pieces.